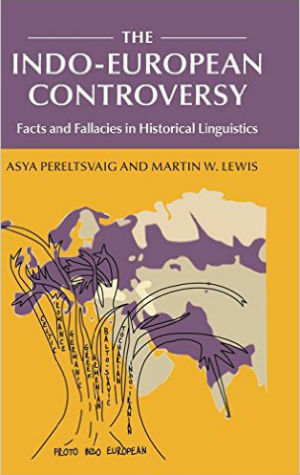 Home » Historical Linguistics » Modern Hebrew: old or new? According to the official story, Hebrew has been “revived” in the late 19th century and early 20th century until it once again became the national language of Israel. But some scholars — such as Paul Wexler and Gil’ad Zuckermann — have challenged this narrative, proposing instead that Modern Hebrew is a new language with little or no roots in a Semitic past. So which is it, old or new? A bit of historical background first. The “old”, Biblical (or Classical) Hebrew was spoken (yes, spoken!) some 3,500-3,000 years ago. The core of the Hebrew Bible, the Torah, traditionally believed to have been first recorded 3,300 years ago, is written in Biblical Hebrew (obviously, hence the name). This language is undoubtedly a member of the Semitic language family. It was a living, spoken language and it kept changing through time. But for external reasons to do with the Bar Kohba war of 135 CE, exile and diaspora, Hebrew gradually became extinct as a spoken language around 200 CE. Yet, it continued to be used as a liturgical and written language for many centuries thereafter. It was used for prayer and to write books and documents in a variety of fields, including not just religion, but also law, business, philosophy, literature and medicine. 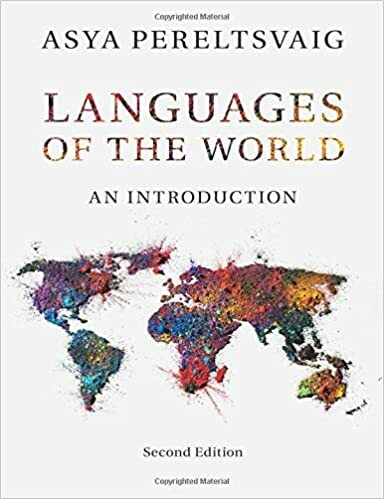 Furthermore, it was spoken by Jewish traders as a second language, a lingua franca for communication between Jews from different lands (more on this below). But crucially, it was not spoken by anyone as a native language, a mother tongue. This is what makes us analyze it as a dead language. Whether Modern Hebrew was “revived from the dead” or “created from scratch”, it is now spoken by some 5 million people natively and serves as the national language of the State of Israel. It is now once again a living, spoken language and it keeps changing. So what exactly happened in those early “revival” years and how did Hebrew once again become a living language? If we need to put a date on the beginning of the process of the Hebrew language “revival” (a term I will use for now), it must be October 13th 1881, when a man called Eliezer Ben-Yehuda and his friends agreed to exclusively speak Hebrew in their conversations. Thus, Eliezer Ben-Yehuda is usually credited with the feat of “reviving” Hebrew. Who was he and what did he do? He was born Eliezer Yitzhak Perelman in 1858 in that part of the Russian Empire where Russians, Belarusians, Poles and Lithuanians lived side by side with a large Jewish population. At the age of three, he started learning in a xeder, a school for young children, where he learned Biblical Hebrew. By the time he was twelve, Ben-Yehuda was familiar with large portions of Torah, Mishna and Talmud. Hoping he would become a rabbi, his parents sent him to a yeshiva where he continued studying Torah and Biblical Hebrew. In addition to Biblical Hebrew, he studied Lithuanian, Yiddish, Hebrew and Aramaic, and in the following years, he also learned French, German and Russian (from his first wife, Deborah) and traveled to Dunaburg, Latvia and later to Paris for further education. To this end, Ben-Yehuda (who by then had adopted this Hebrew name) became a major figure in the establishment of the Committee of the Hebrew Language (Va’ad HaLaschon), later the Academy of the Hebrew Language, an organization that still exists today. It was also Ben-Yehuda who wrote the first Modern Hebrew dictionary and invented a word for it, milon (from mila ‘word’). Many of the words he coined have become part and parcel of the language but others — some 2,000 words — never caught on. His word for ‘tomato’, for instance, was badura, but Hebrew speakers today use the word agvania. But these efforts would have had little effect if it were not for another fateful decision he and his wife have made: to speak only in Hebrew to their first-born son Ben-Zion (“the son of Zion”) Ben-Yehuda (born in 1882; later he will adopt the name Itamar Ben-Avi, “the son of my father”) and to the other four children to follow. He refused to let his son be exposed to other languages during childhood, so much so that it is said he once reprimanded his wife for singing a Russian lullaby to the child. As a result, Ben-Zion became the first native speaker of Modern Hebrew. According to the story, he started speaking only at the age of 4, and his first words were Lo l’hit’lachem ‘Don’t fight’ (was it in response to his parents quarreling over language use in the home?). Soon, Ben-Yehuda was not the only one to speak to his children in Hebrew. The idea of Hebrew “revival” caught on: the first Hebrew schools were established; Hebrew increasingly became a spoken language of daily affairs; in 1922 it became an official language of British Palestine; and in 1925 it became the first “indigenous” language to be used as the medium of university instruction with the founding of the Hebrew University of Jerusalem, my alma mater. But as symbolic as Ben-Yehuda has become to the process of Hebrew’s return to regular usage, his role in this process of turning a dead but sacred language into a national language with millions of first language speakers should not be overestimated. As research shows, in the fifty years preceding Ben-Yehuda’s arrival to Palestine and the start of the revival process, a version of spoken Hebrew already existed in the markets of Jerusalem. The Sephardic Jews who spoke Ladino or Arabic and the Ashkenazi Jews who spoke Yiddish needed a common language for commercial purposes, a lingua franca, and the most obvious choice was Hebrew. It should be noted that it was not a native tongue for anyone, but it was not a pidgin of the sort that would arise between English and Chinese traders or between Russian and Norwegian fishermen and merchants. It did not combine bits and pieces of simplified versions of two languages. Rather, it was a modified version of Hebrew that these people knew from their studies of ancient and medieval religious texts, their prayer books and other literature. The connection to the Biblical Hebrew of yesteryear was perceived as strong enough to ruffle the feathers of the very religious Jews (the haredim): how dare these “revivalists” use a sacred language for mundane topics of everyday life?! They denounced Ben-Yehuda to the British mandate authorities. As a result, he was imprisonned, which didn’t do much good to his health or his spirit and must have precipitated his death from tuberculosis (from which he had suffered for many years) at the age of 64. U.S. Electoral Geography: An Urban/Rural Divide?